1. 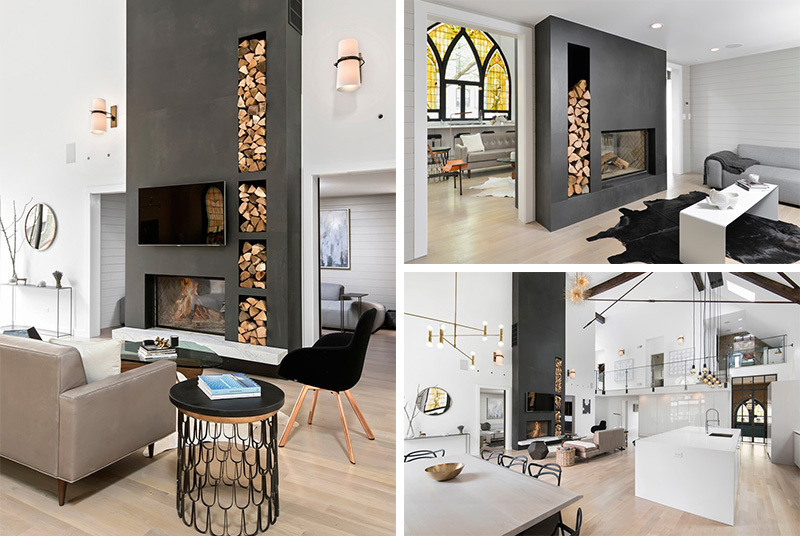 This converted church in Chicago, has a fireplace that splits two living areas. 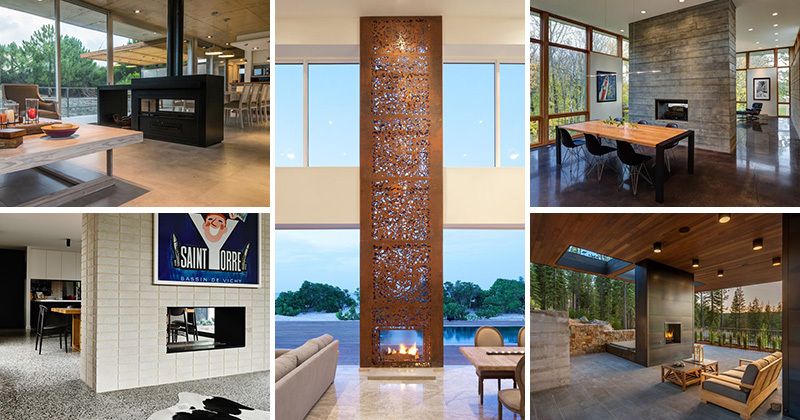 Designed by Linc Thelen Design together with Scrafano Architects. Photography by Jim Tschetter. 2. 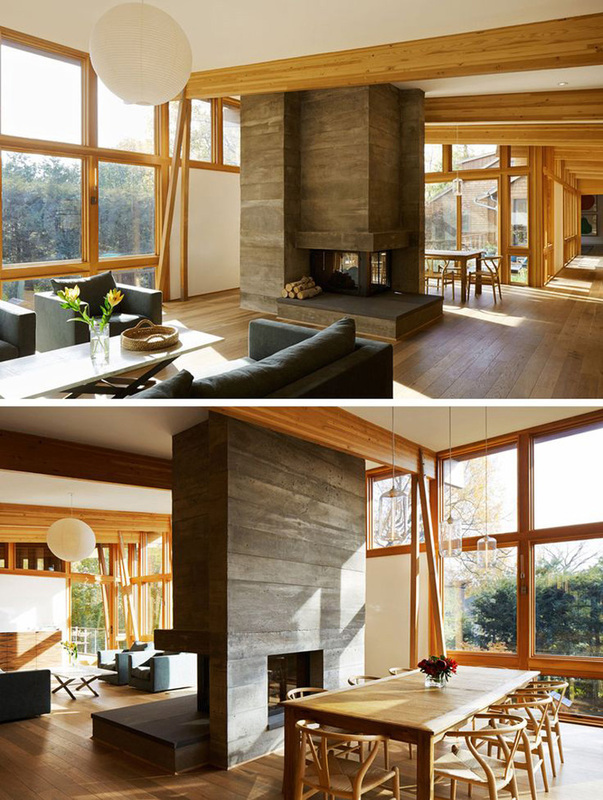 This fireplace in a renovated home in Aspen, Colorado, divides the space between the two levels. 3. This house on Long Island, New York, has a fireplace encased within raw concrete, separating the living and dining areas. Designed by Ole Sondresen. Photography by Edward Caruso. 4. 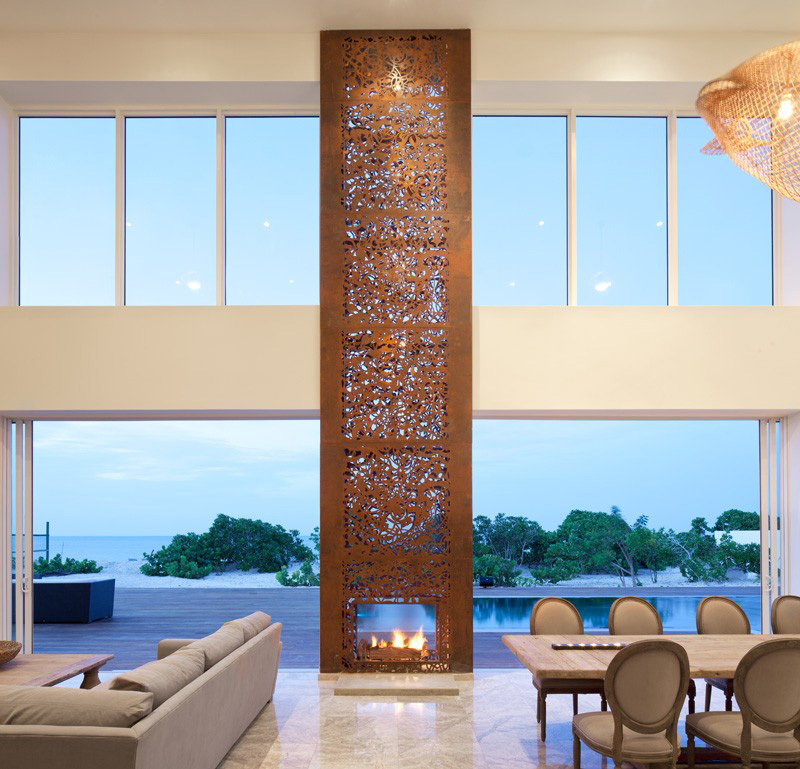 At a villa on Turks & Caicos Island, this double-height fireplace can be enjoyed from the interior of the home, as well poolside. Designed by Prototype Design Lab. Photography by Eugen Sakhnenko | A-Frame. 5. 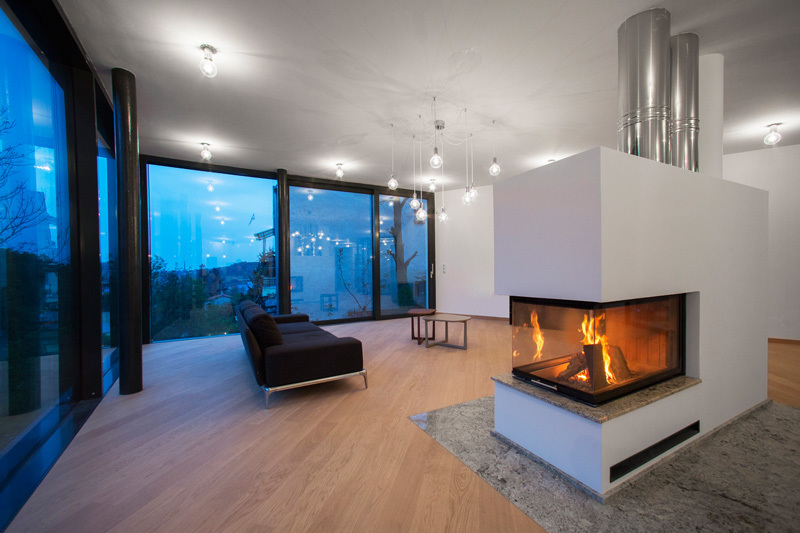 This fireplace at a home in Slovakia, is a central focal point for the living areas. Designed by Šebo Lichy Architects. Photography by Tomáš Manina. 6. 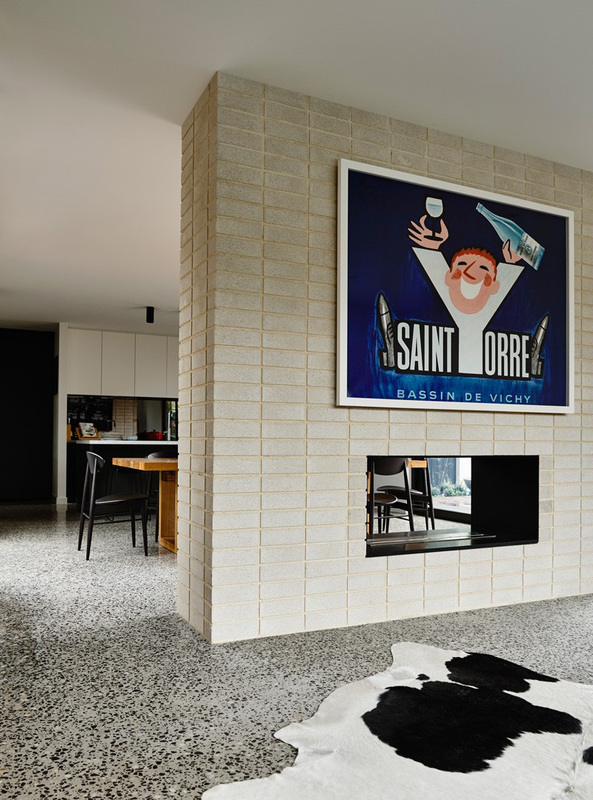 From a home in Melbourne, Australia, this double-sided fireplace, surrounded by a light colored brick, separates the living and dining area. Designed by InForm. Photography by Derek Swalwell. 7. 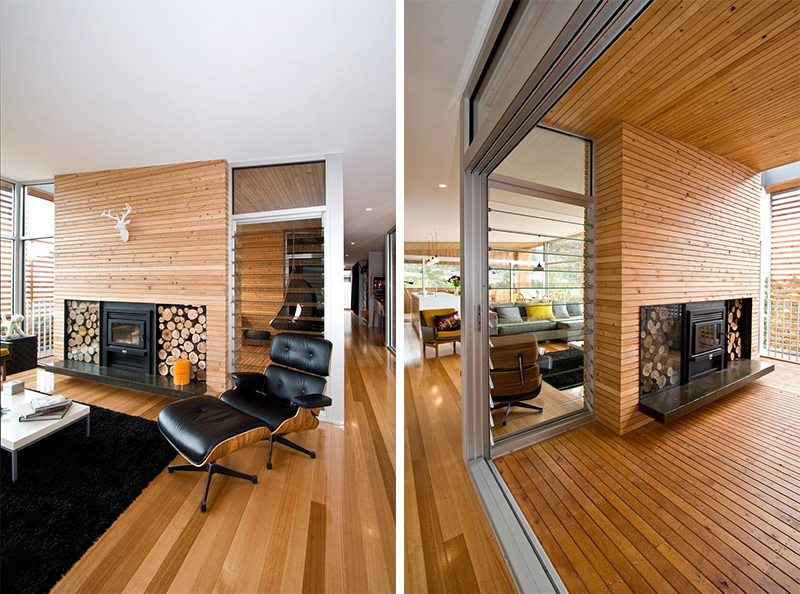 This fireplace, at a home in Hobart, Australia, can be enjoyed indoors and outdoors. Designed by Room 11 Architects. Photography by Jasmin Latona and Ben Hosking. 8. 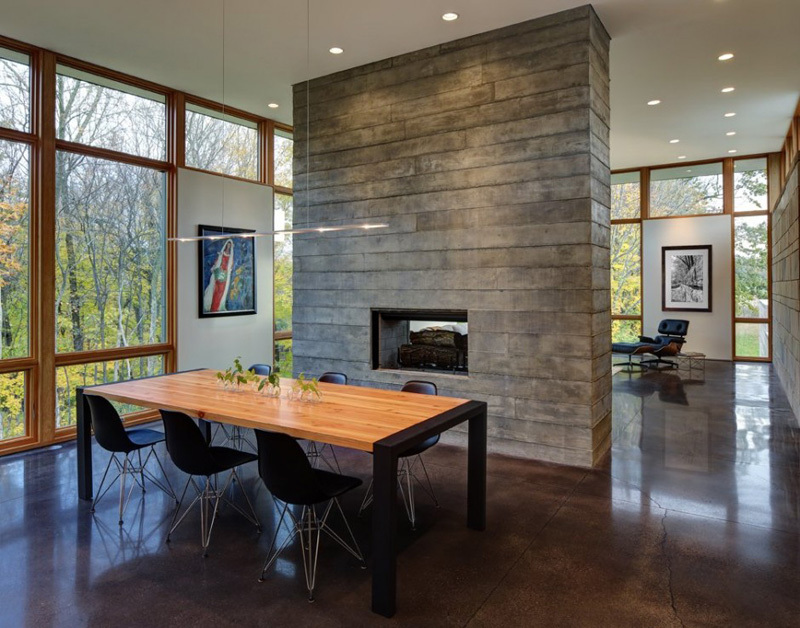 A board-formed concrete fireplace in a home in Richfield, Wisconsin, is enjoyed from both sides, while providing a visual screen between the dining room and the sitting room. Designed by Bruns Architecture. Photography by Tricia Shay Photography. 9. This black fireplace in a vacation home in Buenos Aires, Argentina, provides a separation between the sitting area and the dining room, without being too tall to interrupt the sight line. Designed by Estudio Galera Arquitectura. 10. 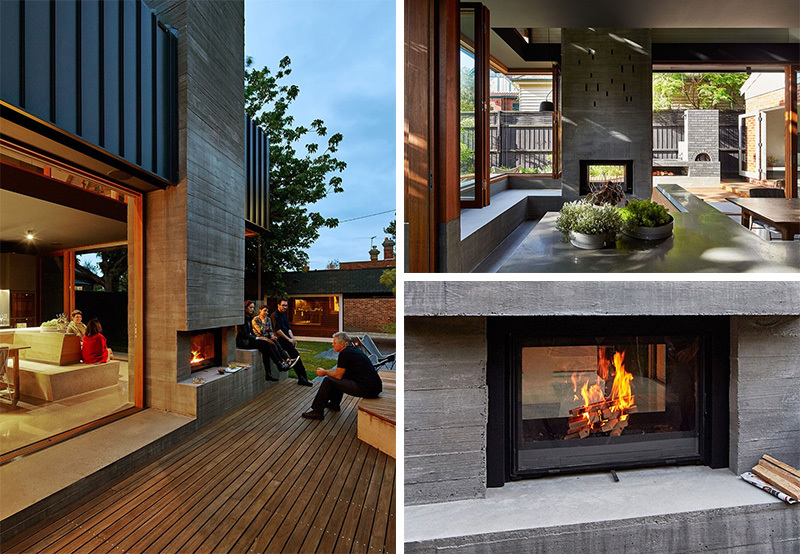 At a home in Melbourne, Australia, this fireplace can be used within the home and in the entertaining area outside. Designed by MAKE Architecture. Photography by Peter Bennetts. 11. 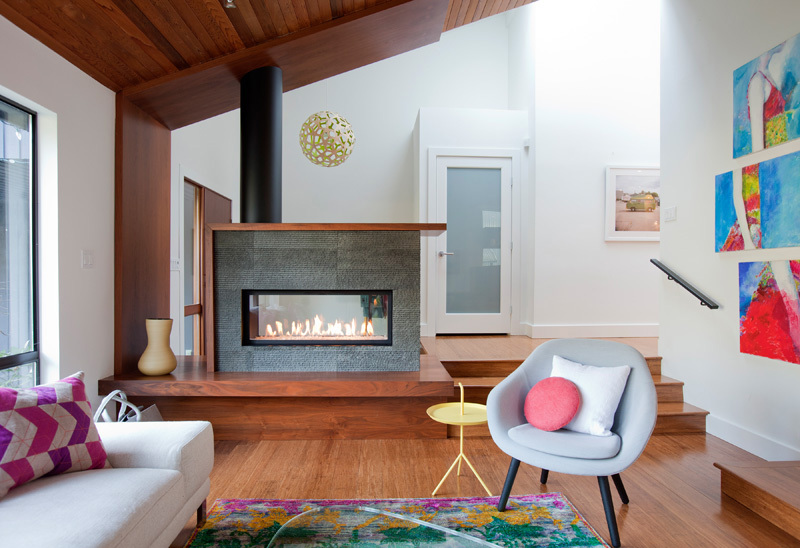 This fireplace in a remodeled home in Vancouver, Canada, can be see from the entrance way and the living room. Designed by Ami McKay. Photography by Janis Nicolay Photography. 12. 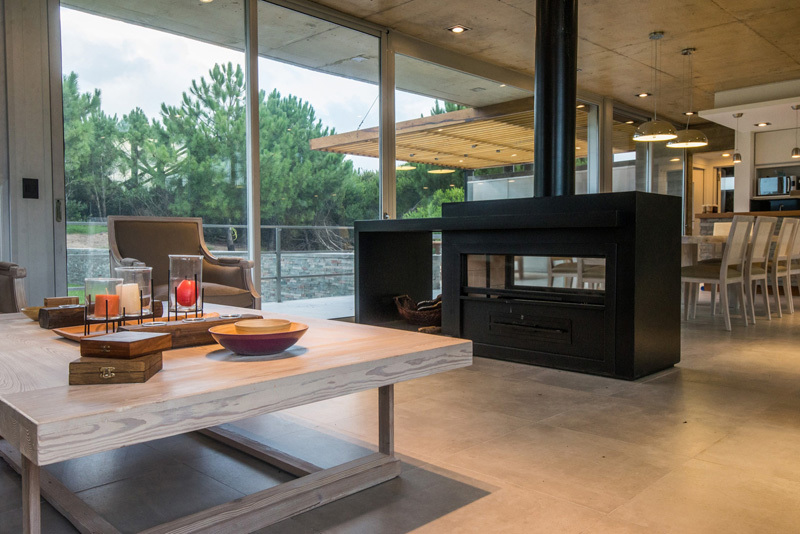 This fireplace separates the living and dining areas of a villa in The Netherlands. Designed by Lab32 Architects. Photography by Jo Pauwels. 13. 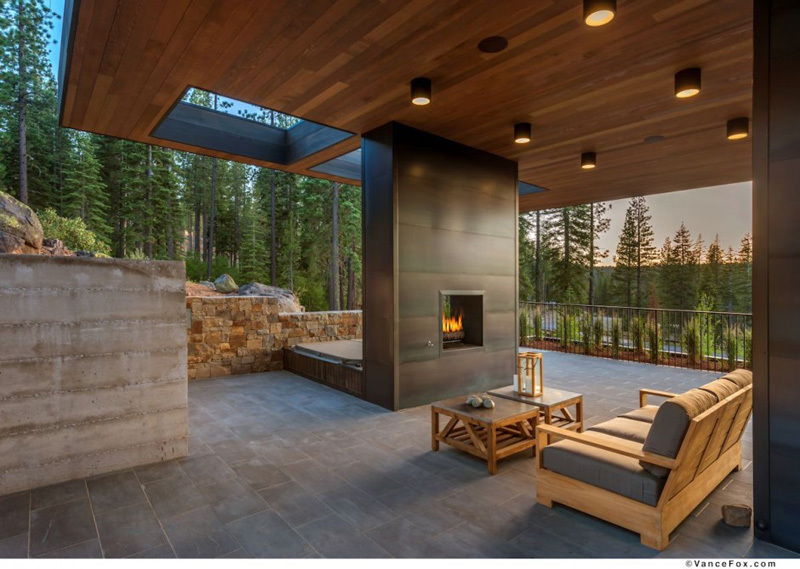 This outdoor fireplace at a home in Truckee, California, can be enjoyed from the seating area or the from the hot tub.